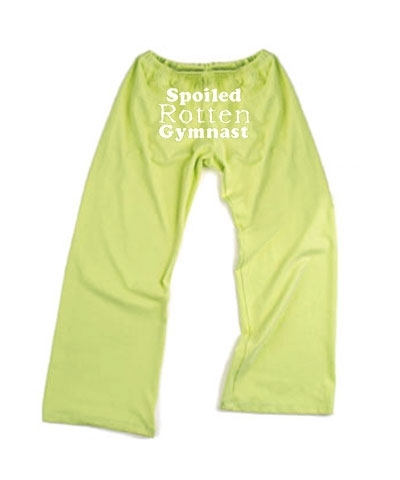 Green Spoiled Rotten Gymnast PJ drawsting pants. Keep your attitudes during your off time. 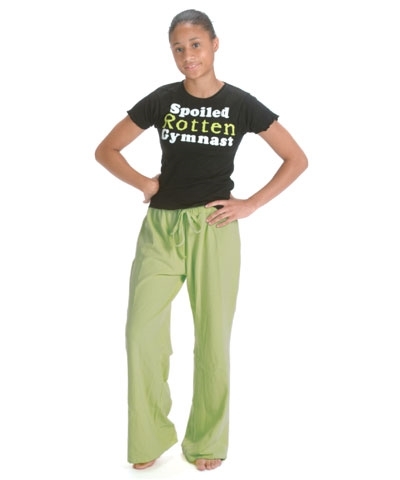 Soft cotton ruffle sleeve baby doll tops (see RT727) match up with soft brushed green cotton lycra drawstring pants to make lounging around a pleasure. 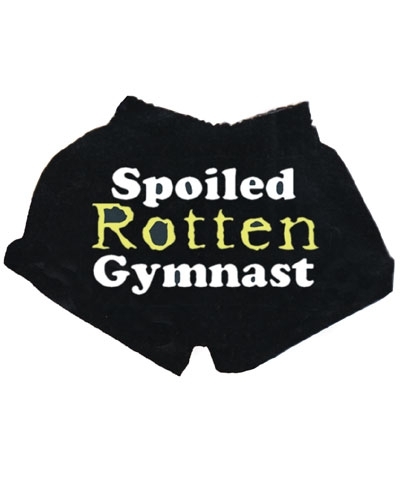 SPOILED ROTTEN GYMNAST logo on rear.